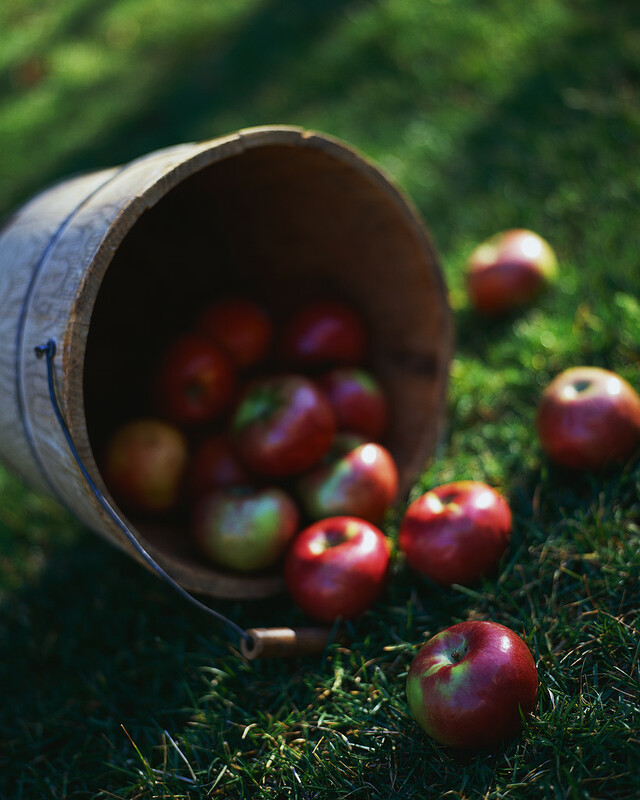 As we quickly transfer from summer to fall, the thought of biting into a wonderful, fresh Ohio apple comes to mind! Is there anything quite as good – and good for you? 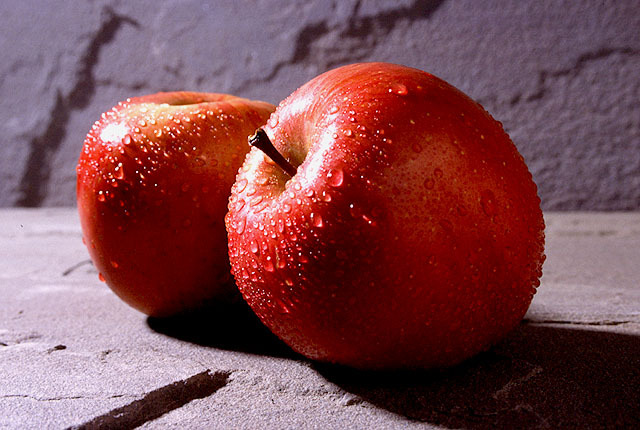 A medium raw 2 ½ inch apple contains Vitamin C, Potassium, about 4 grams of fiber and only about 75 calories. In 2008, the average U.S. consumer ate an estimated 16.4 pounds of fresh-market apples and 33.3 pounds of processed apples, for a total of 49.8 pounds of fresh apples and processed apple products. 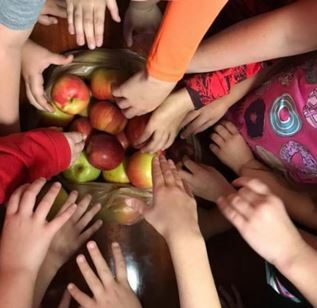 Ohio alone produces over 40 varieties of apples so it should not be difficult to choose one that fits your needs, whether for eating or baking! You can choose from the sweet Honeycrisp , Cameo, Fuji, Gala, and Golden Delicious which are wonderful for eating raw and using in salads to the tart Granny Smith, Empire, and Jonagold which are perfect for pies and other baking needs. Proper selection and storage are important for your apples to have the best flavor. Select firm apples, free of bruises, decay, broken or shriveled skin. Fruit should be ripe when picked to have good flavor, texture, and storing ability. Apples should be well colored. Keep your apples in the refrigerator; 32-35 degrees F is ideal. Store in a perforated, plastic bag. Check fruit often for any signs of rotting and discard spoiled apples. Wash apples by rinsing in cool water just before eating or adding to a recipe. There are probably as many serving ideas for using apples as there are apple varieties. Make applesauce by peeling and dicing 4 or 5 apples and cooking over medium heat with 1 cup of water and 2 -3 teaspoons of cinnamon for about 30 minutes. Apples can be paired with dried cherries or cranberries for colorful chutney. Put cut up apples in a green, leafy salad to add crunch and flavor. Thinly slice apples and cheddar cheese, and place the combination between two slices of whole-grain bread. Grill for a tasty sandwich. Cut apples into slices and offer to children with a low-fat vanilla yogurt dip. Put an apple and some peanut butter in your lunchbag for an afternoon energy snack. So whether it’s a fresh crisp apple for an easy snack, a refreshing apple salad or a piece of warm apple pie, takes advantage of this time of year to enjoy locally grown fresh apples! Reviewed by: Michelle Treber, Family & Consumer Sciences Extension Educator, Ohio State University Extension.